Wolter has 15 years of experience in the field of Commerce, IT & Digital strategy and transformation. For example, in his last role at Transavia he was responsible for Strategy & Development. 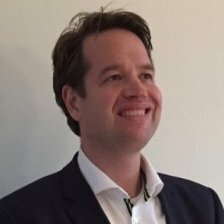 Now Wolter Value Stream Owner (a.i.) at Schiphol for Smart Airport data is responsible for the concept development, realization and marketing of data services and the exploration of blockchain.